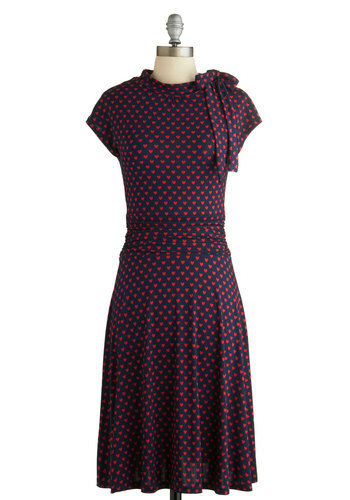 I know they announced this a while back, but I’m so stoked about the ModCloth/Nicolette Mason collab, I can’t wait until Rocktober! 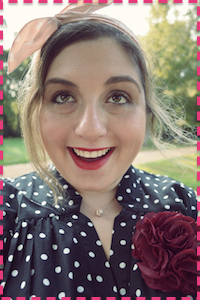 Go to Nicolette’s blog to see all of the cute dresses, skirts, and tops–and you gotta check out the pink trench coat! Go look now! C’mon…I’ll wait. Cool! You’re back! Neat, right? You can’t have a birthday without a little confetti! Just when I was getting the hang of the cat-eye, the Beauty Department steps it up with this tutorial. Maybe it’s the perfect excuse to try those colorful Lime Crime liners I’ve been eye-ing. 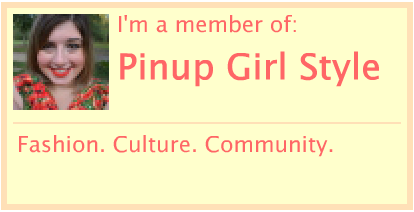 I’ve made no secrets that poppies are my jam. Why not smell like a poppy? Coach’s Poppy fragrances are lovely in every incarnation. I got a bottle as a Christmas gift, and I’m still in love. To be honest, I was unaware of Nasty Gal before I started blogging. When I saw this book cover popping up here and there all over Instagram, I was #curious. I’m in the middle of reading #GIRLBOSS right now, and so far it’s #AWESOME! Sophia, a once self-professed “crust punk,” built her own fashion empire with some vintage clothes, hard work, and street smarts. Part motivational, part cautionary tale, this book proves you don’t have to be perfect to be successful. Like it or not, birthdays are reflective, and lately I’m finding myself at a crossroads in the best way possible. After going through a some not-so-fun years, following my gut to pursue blogging has been a wonderful education that I’ve been able to bring into other aspects of my life, including doing some fun stuff at my day job where I’m dabbling more and more in social media and marketing–which I would have been pretty ill-informed about had I not messed up at previous jobs only try it again for Super Style Me. It seems strange to call someone even younger than I am wise, but Sophia is that and more. Her story and advice help me feel I’m going in the right direction with this new venture. There’s much to learn, but that’s okay. I’ll figure it out just as she did. And, every bad experience, bad decision, and bad day just bring you one step closer to something much, much better. 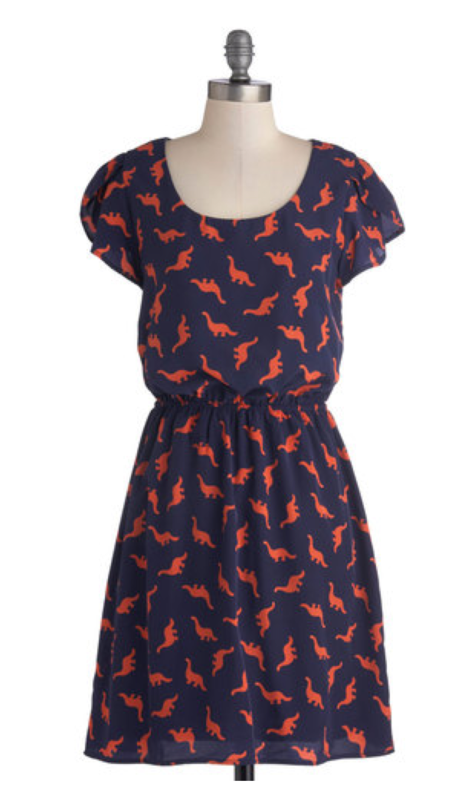 I’m so glad this is back in stock today and in my size, but, really, dinosaur print on my birthday? 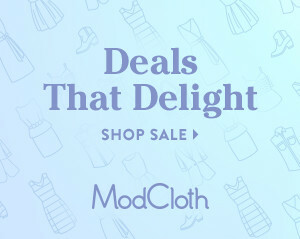 That’s not nice, ModCloth! Thanks to you all for stopping by! Celebrate anything you want today!